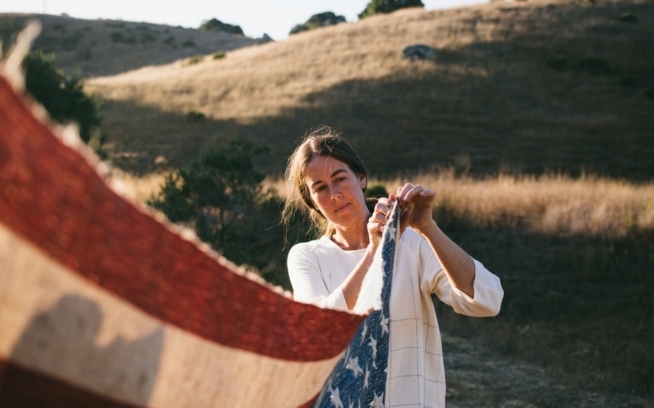 From this season (fall 2014) forward, all Patagonia down products contain only 100% Traceable Down. This means all of the down in all of our down products can be traced back to birds that were never force-fed and never live-plucked—we never blend with down we can't trace. The Traceable Down Standard provides the highest assurance of animal welfare in the apparel industry. We began working in 2007 to achieve this, and are the only brand to have done so. This is a proud milestone for us. Longtime Cleanest Line readers will recall our first post on this issue, back in April 2011, when Patagonia was accused by the animal welfare organization Four Paws of using live-plucked down—a claim that turned out to be incorrect. During the controversy, though, we struck up a conversation with Four Paws, who told us they suspected that—on the basis of photographs that appear on the Footprint Chronicles®—we were using down from gray geese that were raised for foie gras, which involves force-feeding to fatten the liver. We admitted in a subsequent blog post that, at the time, our down came from force-fed geese that were being raised for foie gras as well as meat (with down as a by-product). Today, we can proudly say, with third-party verification, that all Patagonia down can be traced back to birds that were never force-fed and never live-plucked. The assurance of sound animal welfare inherent in our 100% Traceable Down is the result of thousands of hours of work from our executives, designers, material planners, sourcing department, suppliers and corporate social responsibility team. It was neither cheap nor easy, and we had to change our strategy and business operations to accomplish this. But building a product that helps you stay warm in good conscience is a legacy we are proud of. We’re often asked how we can ensure every bird is treated humanely. This can only be achieved by examining every single link in the down supply chain. It’s a very complicated process to explain so we asked Geoff McFetridge (the artist responsible for The Cleanest Line masthead) to lend a hand. Through a special presentation on Patagonia.com, we very clearly illustrate both the problem—conventional down comes from birds that may have been live-plucked or force-fed—and the solution—Patagonia traces its entire down supply chain to verify our down is humanely sourced. Video: What the Pluck? Conventional down is a scary business. To see the complete illustration of our down supply chain, please visit patagonia.com/traceabledown. As we move forward with our efforts to ensure animal welfare, we are partnering with NSF International to continue to evaluate our down supply chain. NSF is a nonprofit standards and certification organization that is helping us to move beyond verification to gain certification for 100% Traceable Down in fall 2015. We will also continue working with others in the down industry to move toward a single certification standard. In the short term, this includes working with Four Paws, the Outdoor Industry Association, European Outdoor Group and the German Sporting Goods Industry Association (Bundesverband der Deutschen Sportartikel-Industrie) to evaluate existing standards and with the Textile Exchange steering committee to help improve its responsible down standard. In the meantime, some of the caveats we first raised to Patagonia customers still apply. Vegans whose avoidance of animal products extends to shoe leather may want to avoid down clothing. We continue to offer high-quality garments insulated with synthetic materials as alternatives.